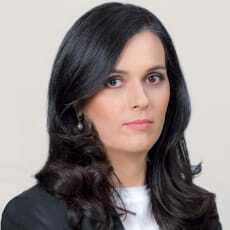 Partner Cosmina Simion co-heads Nestor Nestor Diculescu Kingston Petersen’s gaming practice. In addition to the gambling industry, her practice focuses on IPT, and the media and entertainment and online industries, having acquired strong expertise in these fields in over 19 years of professional activity. She also co-heads the firm’s consumer protection and advertising practice. In the gaming field, her experience encompasses the full range of regulatory and operational gaming aspects. Cosmina has also been actively involved in the review and drafting of the Romanian primary and secondary gaming legislation. She is a general member of the International Masters of Gaming Law, a regular contributor to specialised publications and a speaker at events on gaming matters.